A man sitting on the street in cold weather weather. 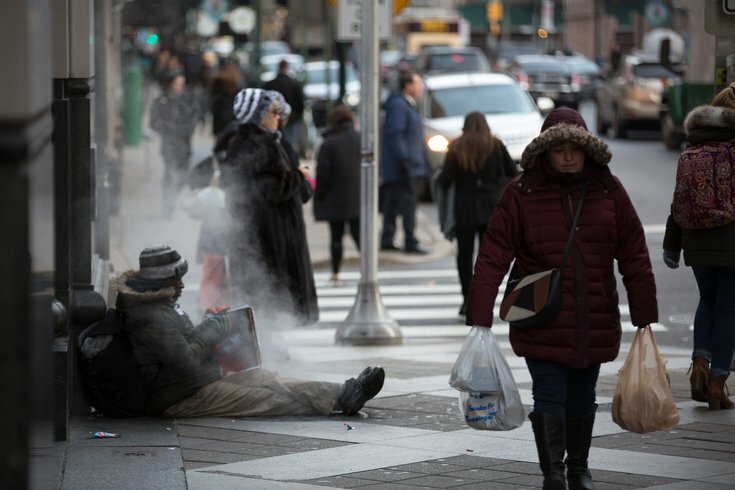 Earlier this month, the U.S. Department of Housing and Urban Development announced $2 billion in funding for local homeless assistance programs across the country, including $102,583,484 for Pennsylvania. Philadelphia will receive $33 million from HUD's Continuum of Care grant to extend existing programs and create several new initiatives, according to a statement from the city's Office of Homeless Services. The funding comes as Philadelphia remains the largest distressed city in the United States, troubled by growing food insecurity and housing challenges for several disadvantaged groups. • Chronically homeless households where the head of household has a disability. Renewal projects supported by the grant will continue to support housing assistance for those with complex needs, including individuals struggling with mental illness and addiction, heads of households living with HIV/AIDS, formerly homeless individuals in need of rapid rehousing and those who have been chronically homeless on Philadelphia's streets. More than 300 chronically homeless individuals were successfully transitioned into permanent supportive housing in 2017. Philadelphia also published its most extensive report to date on the state of youth homelessness in the city. “We’re having a real impact on homelessness in Philadelphia and we’re putting forth every effort to make homelessness as rare, brief and nonrecurring as possible,” Hersh said.